Make this your perfect getaway, or live here year around. This upgraded, furnished, 2 bedroom, 2 bath condo, has a glimpse of the ocean from your patio. 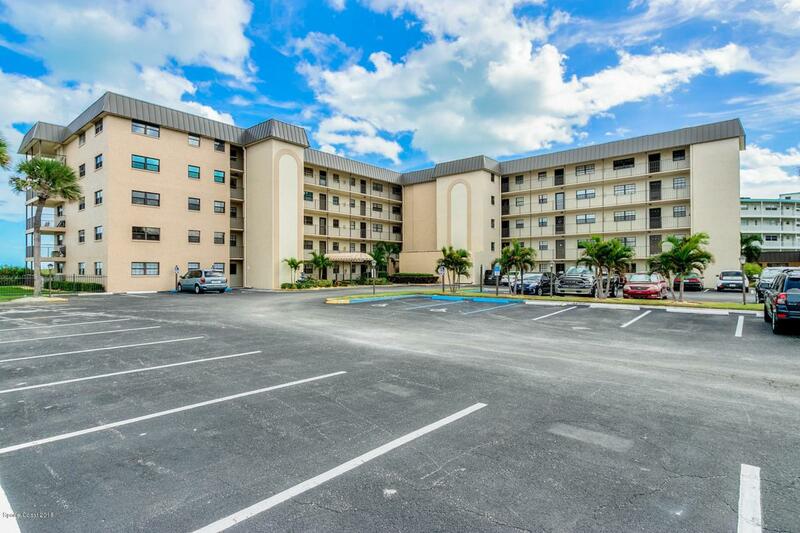 This condo features, all stainless steel appliances, a one year new A/C system , new storm shutters, new sliding glass doors, and new tile throughout the living room, and both bedrooms. Watch a sunrise from your over sized patio. utilize private beach access, or take a dip in your pool.Location, location, location!! You are steps away from grocery stores, shopping, and restaurants. Just minutes to Port Canaveral, and the Beach Line, that takes you to O.I.A, and the Orlando attractions in just 45-60 minutes. It doesn't get any better here in Cocoa Beach.. So make your appointment now to see your new beach homeTwo heated pools, a sauna, tennis courts, recreation room, and private beach access.